Services: 10.30 am and occasionally at 6.30 pm. There is a Creche Corner in church on Sunday mornings. 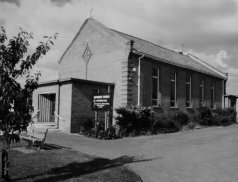 The new church was opened in 1954 following the bombing of the original building during the war. Since then there have been additions of a hall, stage, kitchen, toilets, three large meeting rooms and a store room. There are also two good car parks. 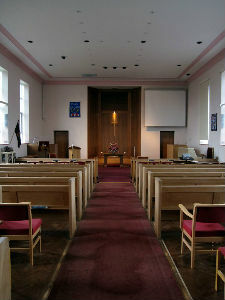 Situated in a residential area the 100 members are actively involved in the community and the premises are fully utilised by church and community groups. Catering features highly in many of the activities. Midweek activities include bowls, badminton, keep fit, fellowship meetings, a celebrated theatre group and much more.